The cello part for Mozart's Symphony No. 40 in G minor, K. 550 (nicknamed the Great G Minor Symphony) has been edited by Jonathan Pegis, a cellist in the Chicago Symphony since 1986 and an active performer in the symphony's chamber music series. Pegis' bowings, fingerings and other editorial markings have been added throughout the score. Download and print the score today to gain access to expertly edited Mozart Symphony No. 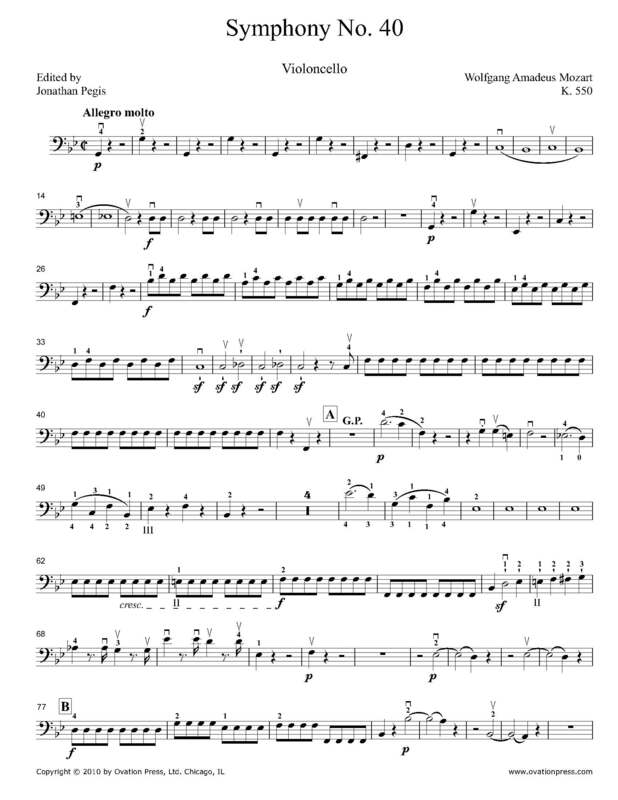 40 cello fingerings and bowings from Jonathan Pegis!